In January I applied for a National Recreation and Parks Association Grant to receive Archery Training and $5,000 worth of Archery Equipment from the Easton Archery Foundations. In February I found out that I was chosen out of hundreds of applicants and would be going to Newberry, Florida to receive my training. On Sunday, April 29th I flew out to Gainesville, Florida, home of the University of Florida. I didn’t know quite what to expect when I arrived at the Easton Newberry Sports Complex on Monday morning but I was excited nonetheless. The Sports Complex is very unique in that it houses the City of Newberry Parks and Recreation Staff, Easton Archery Foundation Staff, as well as US Archery Staff. Robert Turner, the Head Coach at the facility, was our instructor for the week. He is from Australia and was Assistant Head Coach for the Australia Archery Team for 4 years. He has also made strings for bows for the Olympics and assists in training future Archery Olympians. I felt very privileged to be in his company. I spent the week there with Roy, an Athletics Coordinator from Alabama who was also a grant recipient. We spent our first few days learning the basics of Archery and then towards the end of the week dove into intermediate and advanced Archery. We shadowed classes that were in progress, assisted in coaching students, and spent hours learning Archery terminology and practicing Archery ourselves. I had lunch with the Director of Parks and Recreation for Newberry and was given a tour of the new Baseball Complex which has 16 fields with Major League Baseball field quality, the Soccer fields, and where they are hoping to place their new Field House which will have lacrosse fields, a hotel, rugby fields, indoor basketball courts, and more. I was also able to attend the Alachua County Sports Commissioners meeting where hotel management and sports venue management come together to plan for large scale future events and brief over past events. 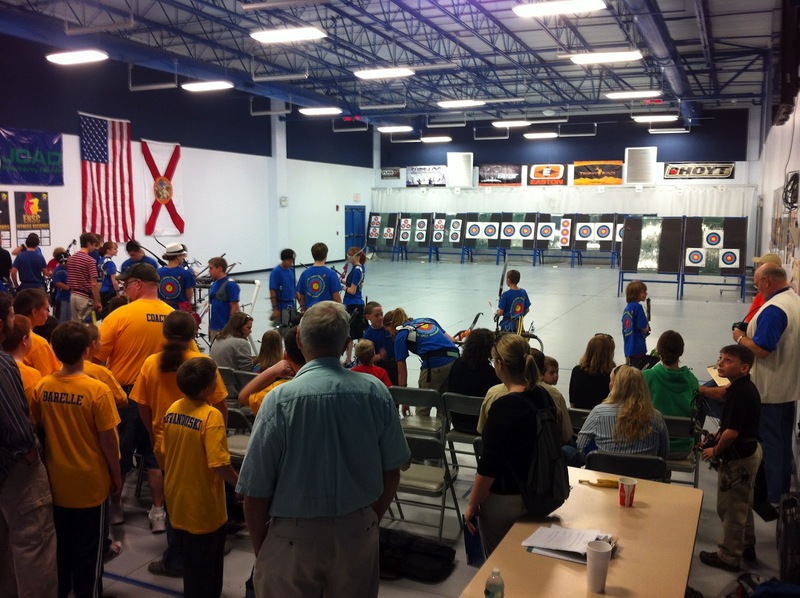 Robert discussed their most recent event which was the Gator Cup, a competition hosted by the Easton Archery Foundation that brought in thousands of participants/viewers. I went to Gainesville knowing nothing about Archery, and have come back as a Level 1 and Level 2 certified Archery Instructor! I am looking forward to implementing Archery classes here at the Wylie Recreation Center and expanding our programs!